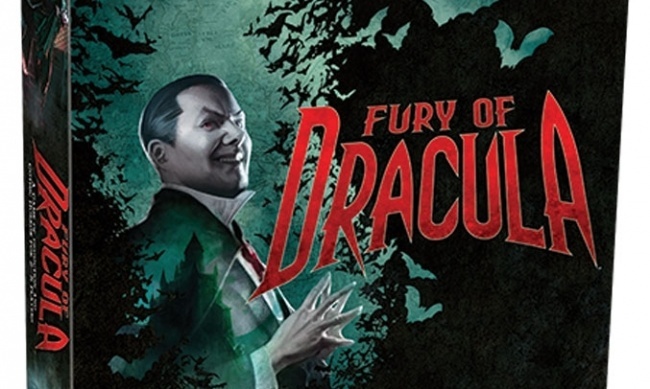 Fantasy Flight Games will release a new edition of the classic boardgame Fury of Dracula in Q4. The game has been a favorite of critics and collectors since its original release by Games Workshop in 1987, and used copies of the second edition currently sell for $75 or more. 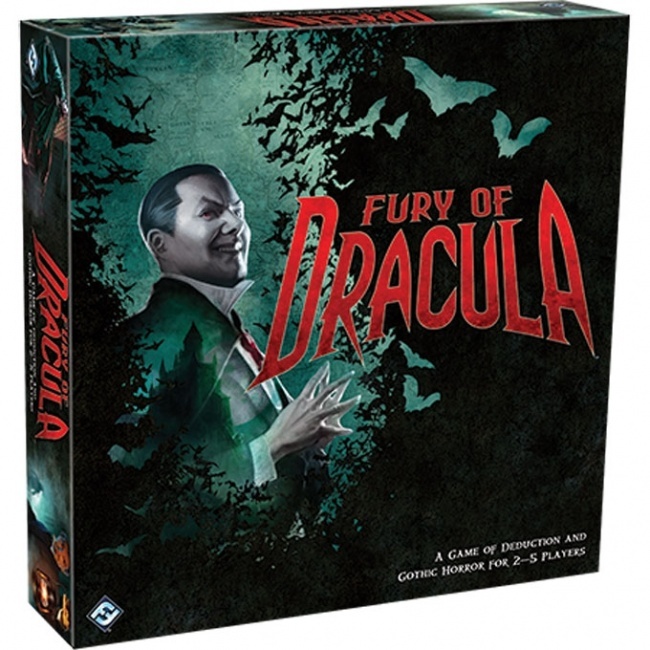 Fury of Dracula is a combination of an overlord-style one-against-many game and a deductive reasoning game. One player assumes the role of Bram Stoker’s infamous Count, trying to expand his influence across Europe. The other players are the famous vampire hunters Dr. Van Helsing, Dr. Seward, Lord Godalming, and Mina Harker. The hunters travel about Europe, trying to uncover clues of Dracula’s plans and locations while trying to avoid the traps and minions of the vampire, in the hope of tracking him down and destroying him. This edition features new artwork, and includes streamlined rules designed to simplify and speed up play. The game is for 2 -5 players, ages 14 and up, and plays in 2 -3 hours. MSRP is $59.99.